I normally don’t do much for Halloween but the craft bug bit me, again, and I needed something to do. Since Halloween is right around the corner I thought I would decorate some. I found some great printables, and you might remember the crazy Target spree I went on a few weeks ago. 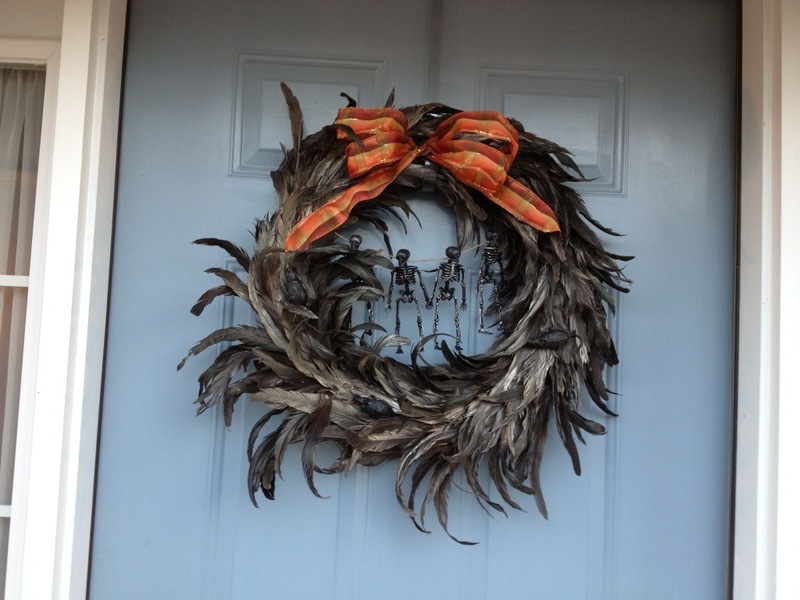 I also decided I wanted to do a Halloween wreath. I found a great one on Pinterest. 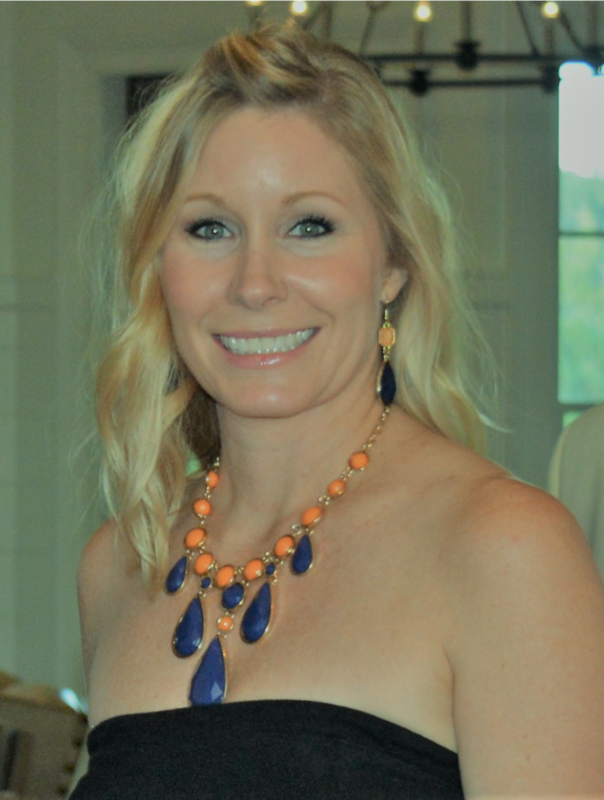 It was plastic snakes hot glued to a grapevine wreath with everything spray painted black. I figured I could get the snakes and wreath at the dollar store since I didn’t care to spend a lot of money. I ran to the dollar store only to find they didn’t have either item. So as I was wondering around I saw some skeleton garland and some fake rats. I grabbed 2 garlands and 1 pack of rats. 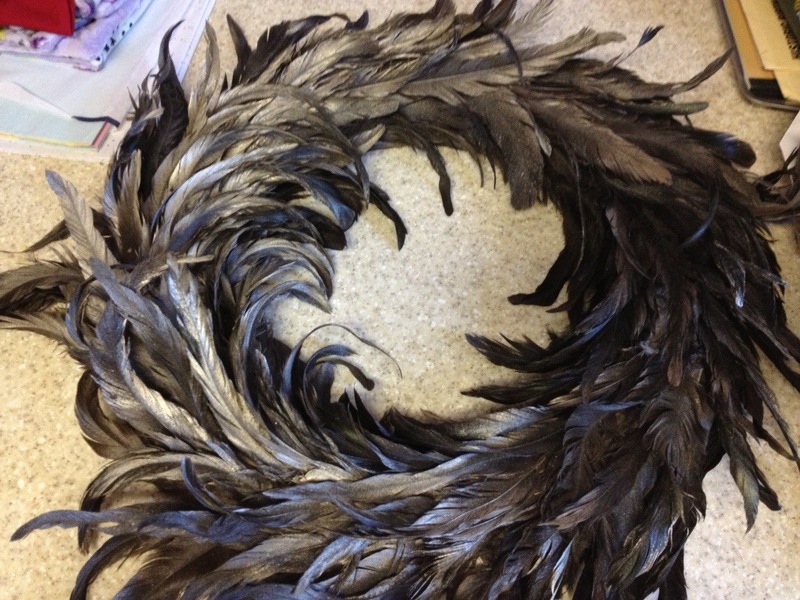 My mom was with me and said she had a black feather wreath I could have. Score! This meant I would spend a grand total of $3.00 on my Halloween wreath. 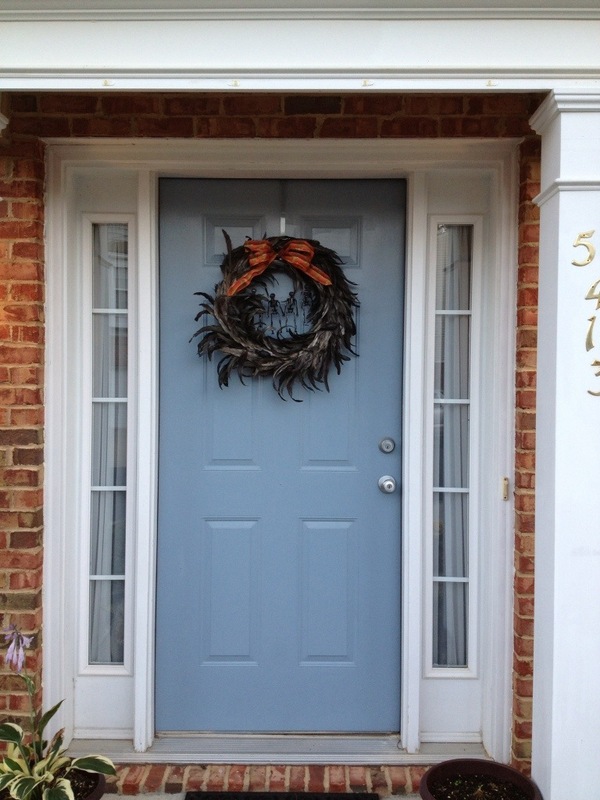 I picked the wreath up during lunch so I could work on my wreath when I got home. I must say the damn thing took longer then I thought it would. 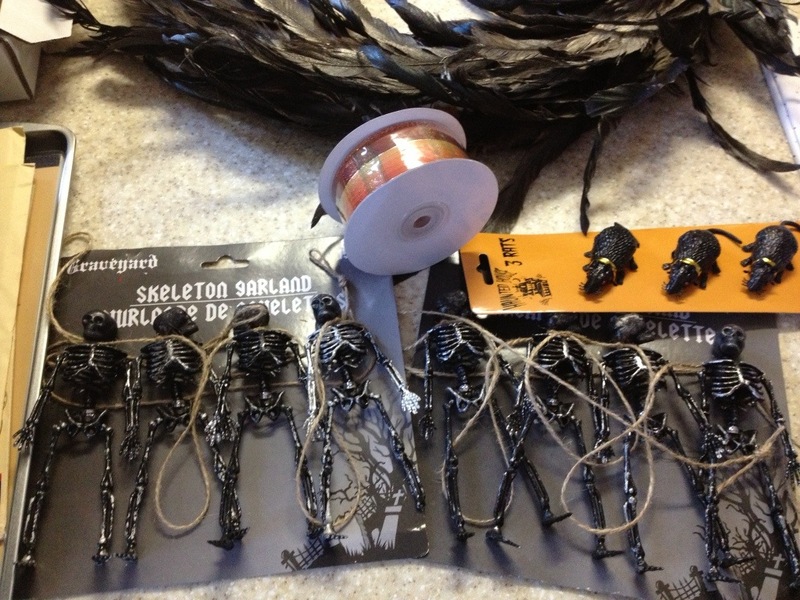 The little skeletons weren’t as close together as I thought they were so I had to retie all of them. 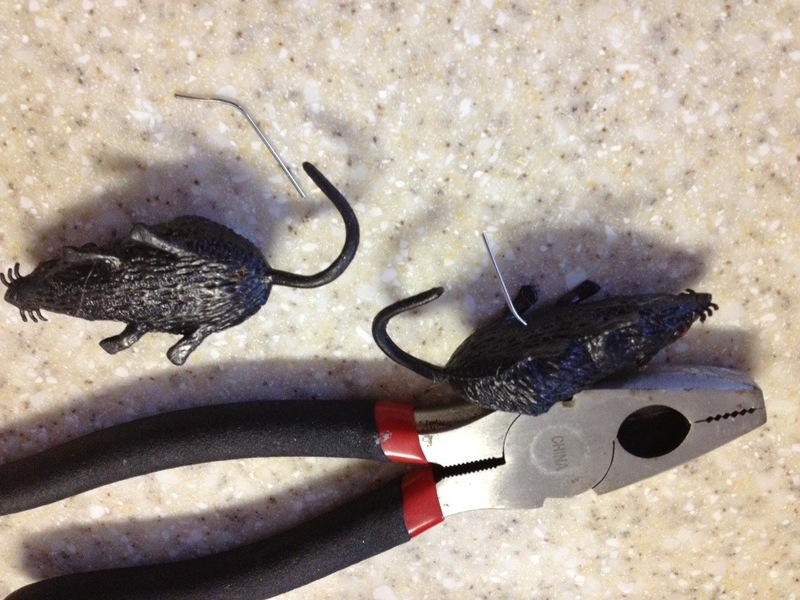 Next I had to figure out how to get the plastic rats to stay without hot glue. As I was looking in our junk drawer I found a paper clip. I unfolded it and cut into 3 pieces. 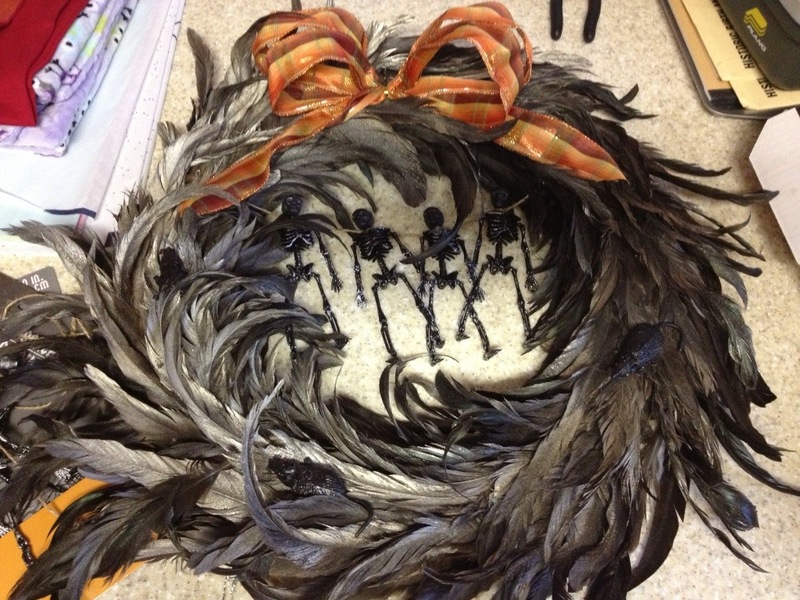 I stuck each rat with the paper clip and stuck it into the wreath form. I thought the wreath was a little too black so I added a bow. Overall I think it turned out great!